For years, ADTRAN has been a leader in easy-to-implement network systems, and have become particularly popular for their Bluesocket line of WiFi access points. With their Express and Elite cloud subscriptions, the big change is the disruptive AP pricing and subscription free express version for cost conscious micro and small businesses. ADTRAN has recently announced the roll-out of their ADTRAN Cloud service. This cloud service is available with one, three, or five-year subscriptions. 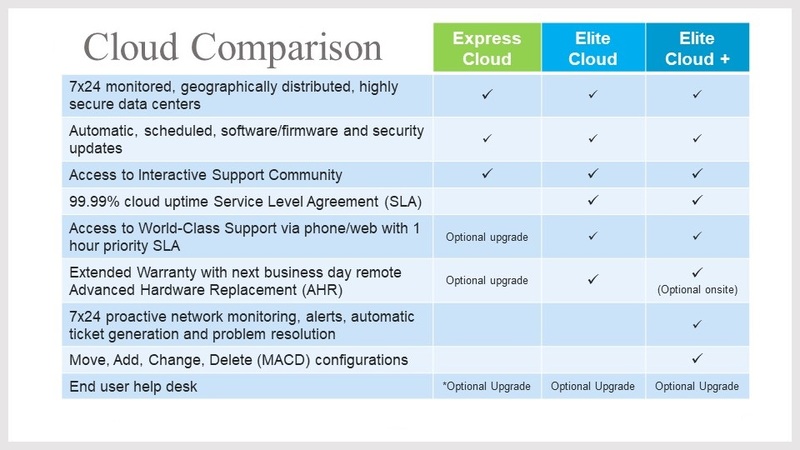 The basic version that includes just about everything most companies need - Express Cloud, is included with every AP purchased, completely free! Additionally, at the Elite Cloud level you get a 99.99% up-time Service Level Agreement, as well as guaranteed access to web/phone technical support, and next-day hardware replacement warranty support. Elite Cloud+ is for businesses that want or need offsite IT support. Elite Cloud+ has everything above, but the network is monitored 24/7 by ADTRAN experts. They handle alerts, ticket generation, and problem resolution on the client's behalf. Also, all three levels can add the option for end-user helpdesk services, if required. Are you looking to upgrade to a next-generation wireless network? Hummingbird Networks can help! Contact us today to schedule a consultation, and let's discuss which mesh networking solutions will be best for your business!